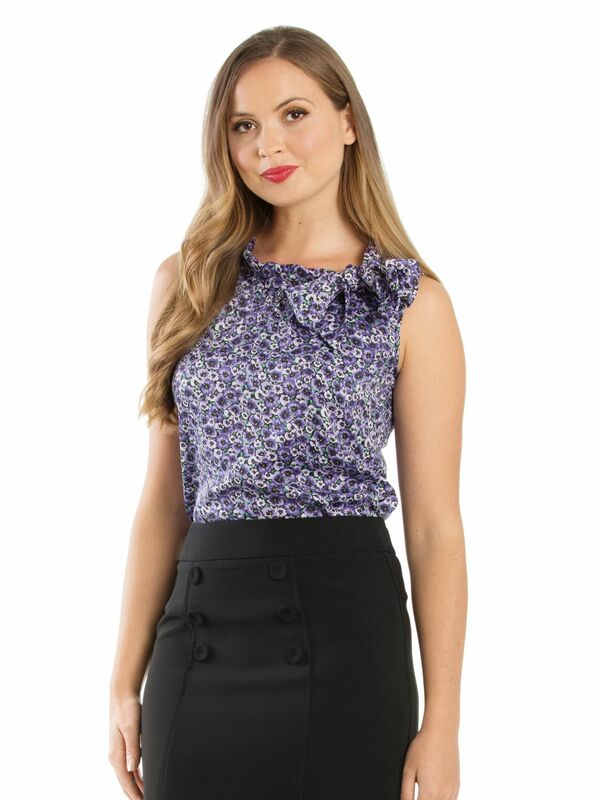 Cosmos Royce Top https://www.review-australia.com/asia/cosmos-royce-top-black/RE19TW082.REBLK055.html Whether you are headed to the office or out for evening dinner with friends, this Cosmos Royce Top is an adaptable piece for all occasions. Decorated with a charming floral print, sleeveless design and a side tie which can be worn loose or tied in a bow depending on the occasion. Tuck it into a pair of high waisted pants or team with heels and a flared skirt for evenings out.